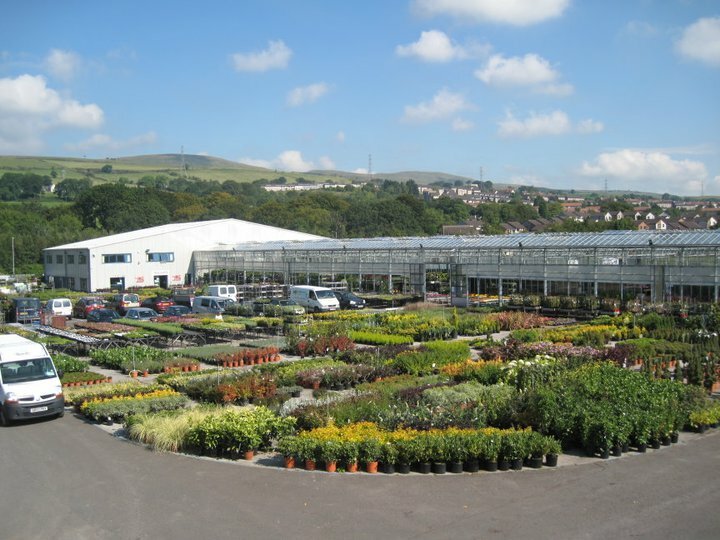 Craigmarloch Nurseries Ltd is a premier horticultural wholesaler and cash & carry, situated on a 15 acre purpose-built nursery on the outskirts of Glasgow. We specialise in sourcing and stocking an extensive range of products at competitive prices from more than 150 suppliers throughout the UK and Europe. We are a strictly trade only business. Whilst we are a main supplier into the Scottish Garden Centre network and wider retail outlets, we also focus on providing the complete one stop function for all our landscapers, landscape architects, trade cash & carry and public sector. Craigmarloch prides itself in providing prompt, realistic quotations and will work closely with our clients and customers to ensure their requirements are met in full. We specialise in supplying complete projects and those 'difficult to source' plants and materials. Orders can be met on short lead times with the ability to deliver throughout Great Britain and the wider European Markets. Finally, at Craigmarloch we can also contract grow plants to our clients specification and needs to ensure that any planting project achieve the desired quality and outcome. 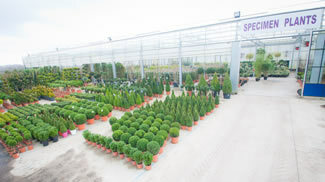 Our extensive product range includes: Alpines, Bedding, Bulbs , Basket Plants, Bare Root, Bird Care, Christmas Trees, Christmas Wreaths, Climbers, Composts, Contractor Tools, Barks & Aggregates, Conifers, Fertilisers & Chemicals, Florist Sundries, Grasses, Heathers, Hedging, Herbaceous, Herbs, Plugs, Potatoes, Rhododendrons, Roses, Shrubs, Soft Fruit, Specimens, Tools, Topiary, Trees, Vegetables and Wild Flowers. During 2013 and 2014 the company made the decision to go back into commercial growing in a large way. Up until that point we had always grown small batches of plants making use of the existing facilities on site. However, with demand increasing for some of the key lines that we grew such as Heathers, Basket Plants and Strawberries the decision was made to increase production. This resulted in the company renting glasshouse space in the Clyde Valley between 2014 and 2015 to help with production. With demand continuing to increase it was decided to clear a 4 acre plot on the Craigmarloch site to help with the continued expansion of the commercial growing. This has allowed the consolidation of all growing activities on site and allowed the company to expand the range and volume of plants the company can produce. With the garden and landscape supplies side of the business ever expanding the company needed to increase dry goods storage and built a dedicated 25,000 square foot Garden and Landscape Supplies Centre. The work was started in early summer and completed by October 2015. The new area has allowed the company to carry a wider range of stock and enhance displays. Craigmarloch is now in a position to distribute many lines of key branded garden and landscape products such as Chapin, ICL, Westland, Scotts, Bull Dog and Professional Weedkillers such as Roundup, Rosate, Gallup and Clinic Ace. Our key target markets for these products are landscapers, local authorities and direct distribution to Garden Centres. In the years from 2005 Craigmarloch had been making full use of the new Nursery and continuing to expand. A new specimen glasshouse was built in 2007 to help to house our impressive specimen plant range, to again enhance the Craigmarloch experience to our customers. After the construction of the new specimen glasshouse the business was only utilising around 7 acres of the 15 acres available on the site. The business therefore has additional space to continue expansion therefore ensuring a continued improvement to plant range and facilities to our customers. In the years from 2000 the company was still trading from the Endwood site as the company set about securing the appropriate planning permission for the proposed new site. After many sleepless nights and stressful days the company successfully gained permission to build the New Craigmarloch at Glasgow Road in Kilsyth. In June 2003 work began with the excavation of large amounts of hillside to make way for the construction of the building. The company commenced trading from the Glasgow Road site in March 2005 and the business has not looked back since. The development and expansion of the Nursery continued into the 1990′s with the company continuing to grow and recruit more staff. The company was also required to build two new large warehouses that helped in the display of the large product range but also to aid in the distribution of products to the company’s ever expanding customer base. Even with the new buildings and the additional land at the Endwood site by the end of the 1990s the company realised that they would have to begin to look for another site to allow the business to continue to develop and expand. After several months the company was able to find an ideal site within a short distance from the Endwood site. 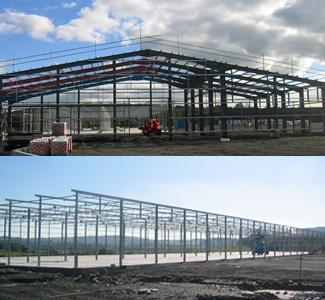 The site was situated on the Glasgow Road, this was a 15 acre site which would provide the company with the ideal platform to develop and expand. The Endwood site was just under 2 acres and so the move to the 15 acre site would provide many opportunities to showcase and increased product range. The business expanded at a manageable level throughout the 70′s and at this point had stopped growing plants and started to wholesale all different varieties of plants. By the end of the 1980′s the the business had developed significantly from it’s initial roots as a back garden business to a thriving family business. The business continued to grow and the company went from strength to strength with the recruitment of new staff and continued to enhance and expand the product range. The company purchased additional land at the Endwood site to allow the business to continue to grow at the current location. Craigmarloch Nurseries Ltd is a family run business that was established in Kilsyth in the 1970s with the business originally being set up in the back garden of the company's founder Drew McFarlane. The company's main objective at this stage was to grow heathers and conifers for local authorities orders. It very quickly became apparent that our customer required more than just a small range of heathers and conifers and Craigmarloch quickly developed into sourcing and stocking a large range of top quality plants, a business strategy that the company still stands by at this moment. In 1974 Drew McFarlane purchased Endwood cottage in Kilsyth along with a piece of woodland to develop and expand the business.